Yesterday one of our neighbors went down to Tomales Bay and brought back a large bag of fresh oysters. He gave us a dozen of 'em, and we decided we'd barbecue them on the Traeger. 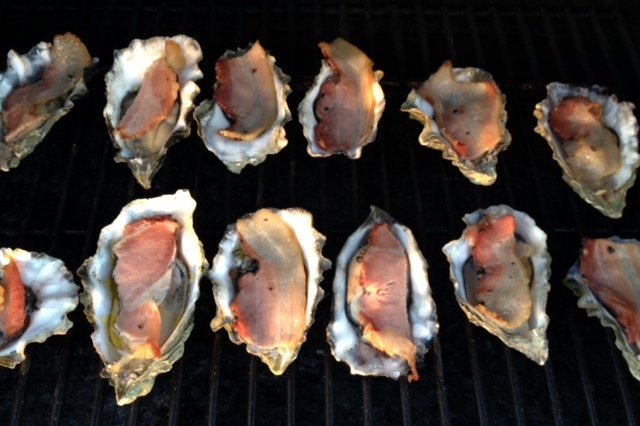 Kevin shucked 'em and kept them in the half shell and we added a splash of olive oil and topped them with a piece of uncooked bacon. Then they went on the Traeger at about 180 degrees for an hour and a half. 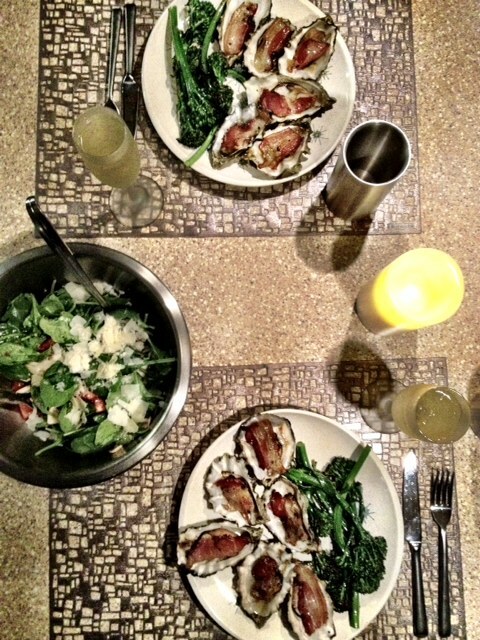 I made us a nice salad, sauteed some broccolini…and served it all with a glass of champagne. Delicious. 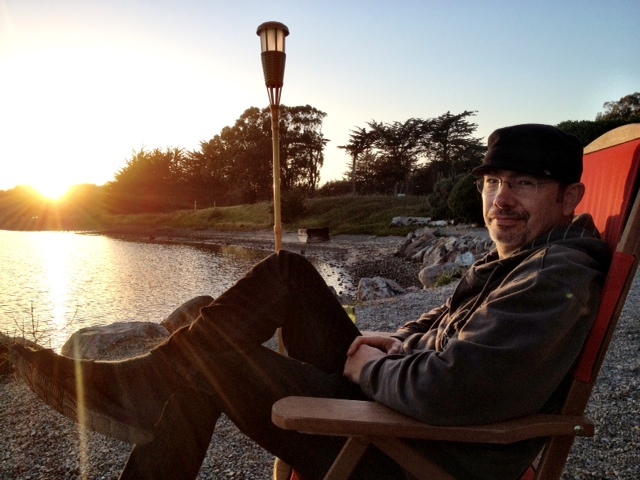 It was a beautiful evening…not much wind at all…and we sat outside and watched the sunset. Again.